Brokers, click here to find out about how to get a full appraisal with as-built floor plan for $350!!! Instant FREE Online Quotes for your measurement & As-built Floorplans! Click here to get your quote and place your order! 2-3 day turnaround on most assignments. 18 years of experience of measuring and appraising all types and sizes of houses in the Charlotte-Metro area. All measurements completed using the ONLY method accepted by the North Carolina Real Estate Commission, the ANSI Z765-2003 Standard (what's this?). Custom Floorplans with any desired level of detail. Measurements can be completed from plans so that you are in compliance with NCREC rules (architects DO NOT necessarily report square footage using the ANSI standard). As a Realtor, state law, the MLS, as well as your Broker-In-Charge require that you report an accurate and detailed summary of your listings when you enter them into the MLS and there are any number of reasons to get a professional measurement on your listings. Most of the time, the county tax information is incorrect. Some homes have additions or you may have questions regarding whether the enclosed porch or patio should be considered as Gross Living Area. You may need a second opinion on another appraiser's sketch. The home may be a large and complex measurement assignment that you are not comfortable measuring yourself. As an agent, you do not want to be held liable for the square footage as listed in the MLS. Please feel free to contact me anytime about measuring a home for your listing or for a buyer! I am always glad to answer any questions and can usually give a 1-2 day turnaround. 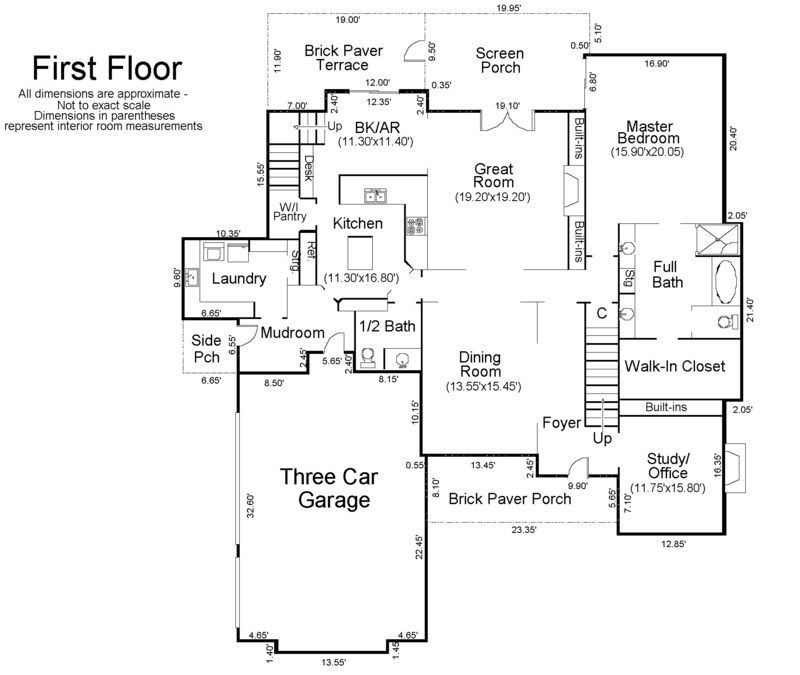 I also provide detailed floorplans with interior room dimensions upon request. Go to the Floorplan Samples link below for more information. Also included in our website is a detailed explanation of the North Carolina Real Estate Commission requirements for reporting square footage and how to measure a house, townhouse, or condominium in North Carolina. This information is from an in-service course written by Ed Odham and can be taught to groups of agents. If you are a broker in charge and are interested in bringing this information to your agents, please contact me either by phone at 704-491-4862 or through this website. Otherwise, please feel free to read through it. I hope it may answer many of the questions you may have about house measurements. Are you a Licensed Broker and need an appraisal completed on one of your listings? Click here now for information on our newest appraisal product, the Broker Appraisal & Marketing Report.